In the United States a Conservatorship or Guardianship is the legal proceeding that states who the “guardian” or “conservator” of an individual will be if they are unable to act on their own behalf. It is also created to protect an individual if they cannot care for themselves or can no longer make sound decisions about their financial assets and real property. Having a pre-established conservator listed in your Powers of Attorney is important. Although it may be a difficult prospect to think about, having a plan for the future can provide confidence and peace of mind for those individuals who are concerned about who will act in their best interests if something were to happen to them. 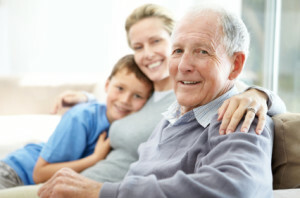 A vital part of the Conservatorship or Guardianship establishment process is choosing a respectable lawyer who will help you properly complete and file the correct documents. An experienced lawyer will provide expert advice in all areas regarding the Conservatorship. If you are diagnosed with an illness, in an accident or if you suddenly find yourself incapacitated for any reason, your lawyer can help your designated conservator with the legal paperwork to have your Conservatorship established as soon as possible. This will help to guarantee that you are properly cared for and that your estate is managed based upon your legal requests. Ignazio Ficara has over 30 years of experience dealing with Conservatorships and Guardianships. The Ficara Law Office will always strive to provide personalized, dedicated service that is reliable and trustworthy. Legally, a probate court in California is authorized to formally appoint a conservator to manage the affairs of an individual who is unable to care for themselves or who has been medically listed as incompetent. In these situations the individual must be absolutely unable to manage their own personal or financial affairs. If a conservator or guardian has not been pre-established the courts will choose someone — usually the closest blood relation or the living spouse. This individual will then be able to exercise legal power over the incapacitated party in order to help deal with important legal matters, as well as to help dictate what happens to their estate. In the eyes of the law, a Guardianship is a court-appointed “protective proceeding” initiated by an individual who petitions the court to be appointed as the guardian for an incapacitated individual who is an adult or for a minor child. When an individual requests that the court appoint them as guardian for decision-making authority (in the best interests) of the respondent, their power may extend to medical health, education, and the appropriate placement for residency for the individual’s overall well-being. Before a Guardianship can be granted, proper notice must be given to all interested parties and a hearing must be held. The court will then determine whether or not a Guardianship is needed, as well who is best suited to fill that role. A Conservatorship is considered by law to be a “protective proceeding” similar to a Guardianship. It must also be initiated by a petitioner who is seeking to be appointed as a conservator for an individual who has been deemed incapacitated by their doctors. The petitioner may request that the court make them conservator to act on the behalf of the individual who is unable to make decisions on his or her own, with his or her best interests in mind. The difference is that the conservator may be given authority to make decisions regarding asset management and the control of finances, as well as health, education and residency placement, though not all decisions can be made without the court’s permission. Before a Conservatorship can be granted, proper notice must be given to all interested parties and a hearing must be held. The court will then determine whether or not a Conservatorship is needed, as well as who is best suited to fill that role. The Ficara Law Office is experienced at helping individuals navigate Conservatorship and Guardianship situations. They can provide expert advice, as well as assistance with any legal issues regarding granting, appointing or seeking out conservators and guardians for incapacitated individuals or minor children. Ignazio Ficara understands that each case is unique and deserves in-depth attention. He will take his time to explain the legal process so that all concerns are addressed fairly and with the utmost care. To find out more about establishing a Conservatorship or Guardianship please call (760) 365-7000 to make an appointment with the Ficara Law Office.